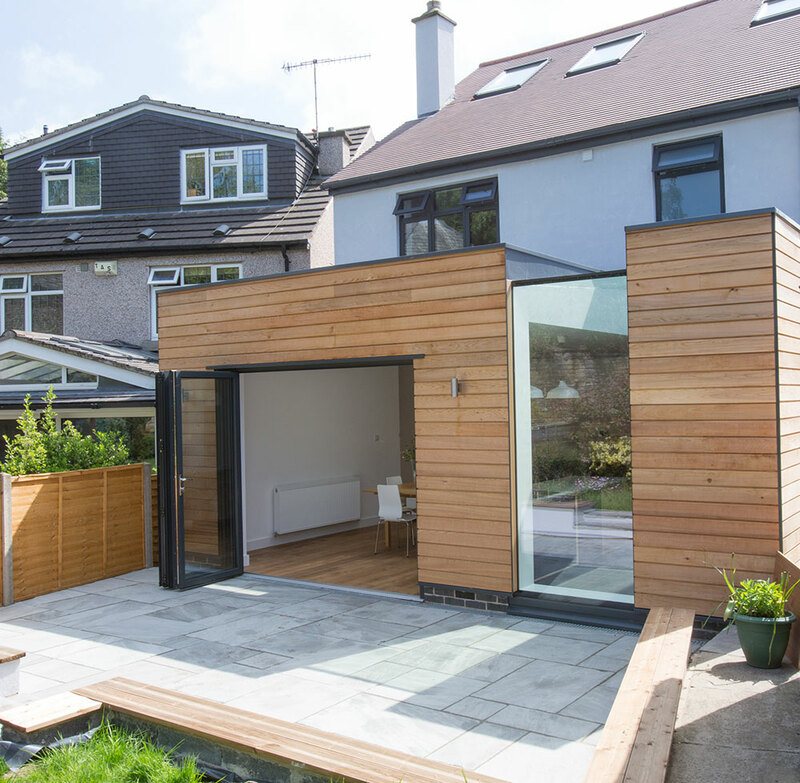 The client requested a new, contemporary single storey rear extension and complete renovation to their home in Sheffield. The principle concept on this project was to maximise natural light and create a new open plan space to the rear of the house. As well as the feature rear extension to the house, the whole dwelling received a complete renovation to modernise this period property whilst maintain some of its original features in the existing part of the house. 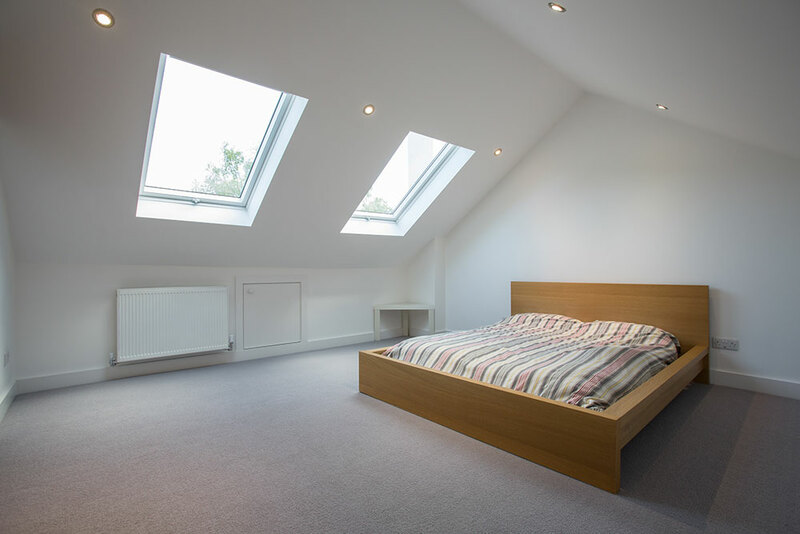 As part of the works, the attic was also converted to add a new master bedroom suite with generous roof lights to maximise natural light. However, it is the new ground floor extension which is the feature of this property, containing a full floor to ceiling eaves glazing unit. 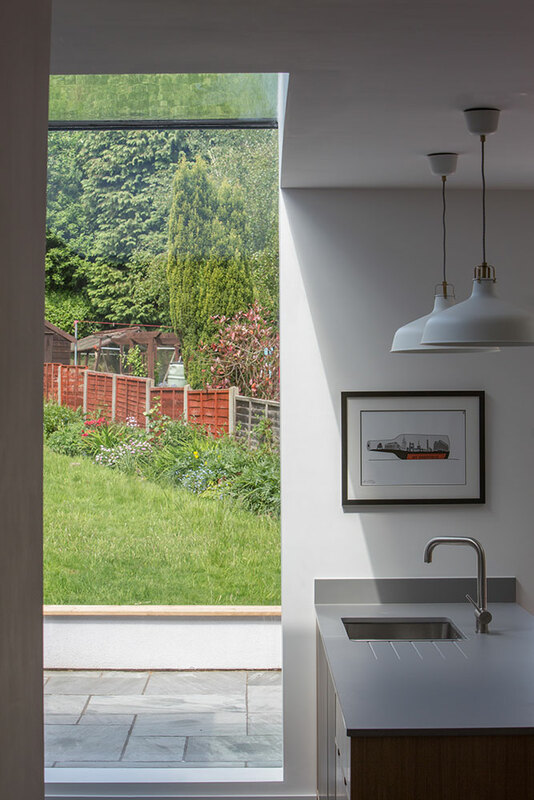 This feature glazing returns into the roof, jointed with the smallest of seals, to flood the kitchen with natural light. The vertical nature of its design defines the kitchen area and creates a fantastic space to be in. The generous amount of glazing takes advantage of the fantastic garden, linking the internal spaces with the outside vegetation. The rear house extension is design to be a contrasting, contemporary addition to the stone fronted house. 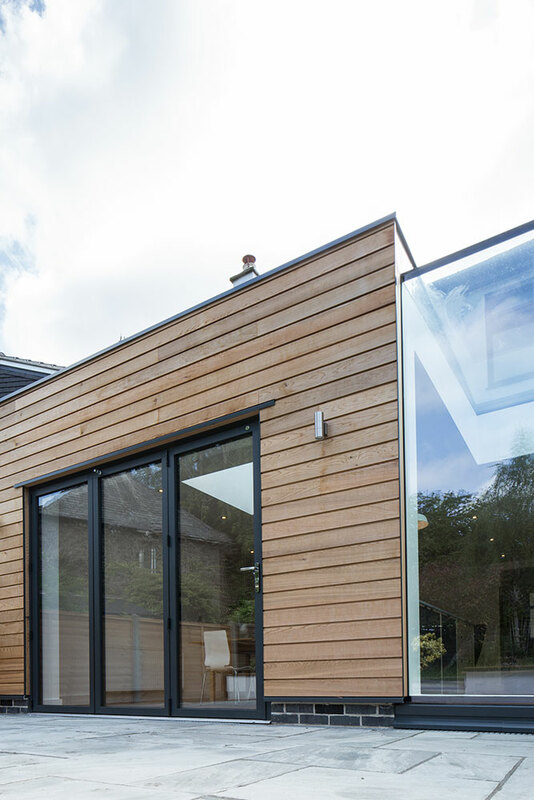 Timber cladding used to relate the extension to the mature trees and planting to all of the surrounding gardens.